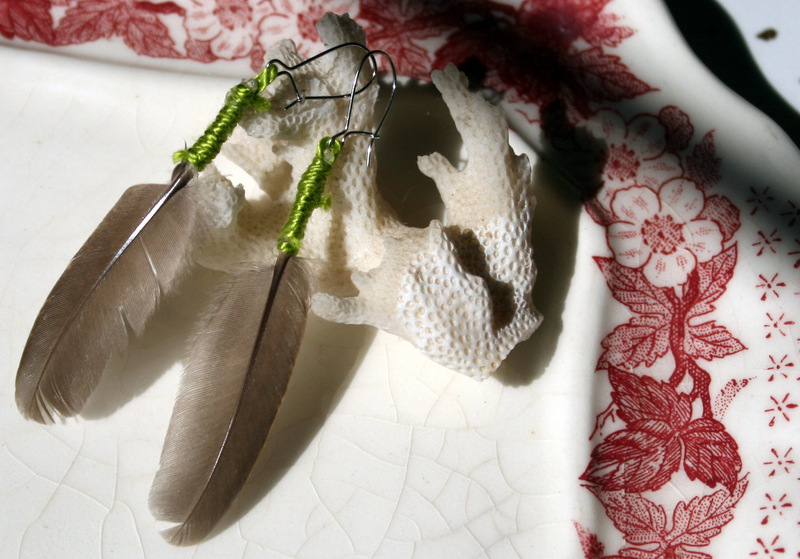 Fluttery, dangly and lightweight earrings. 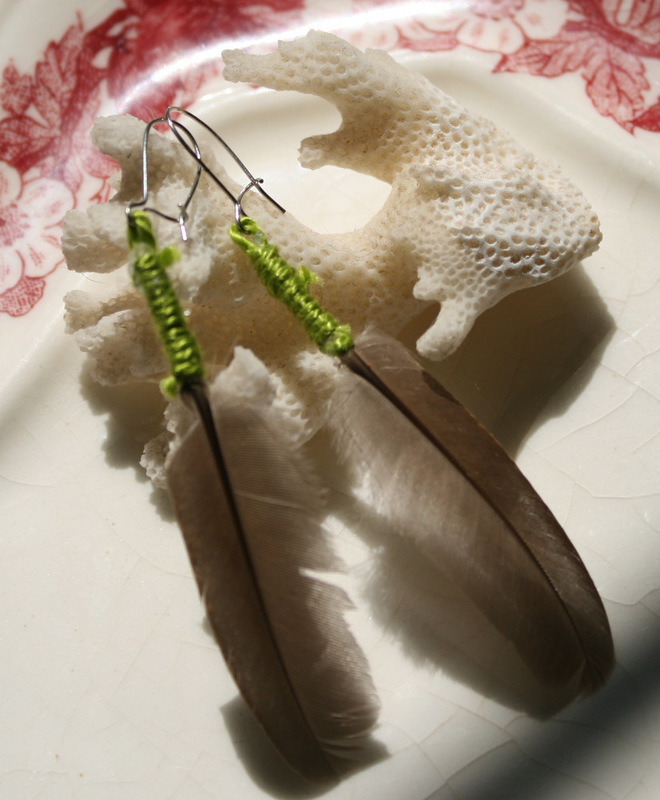 For sale on my ETSY store. 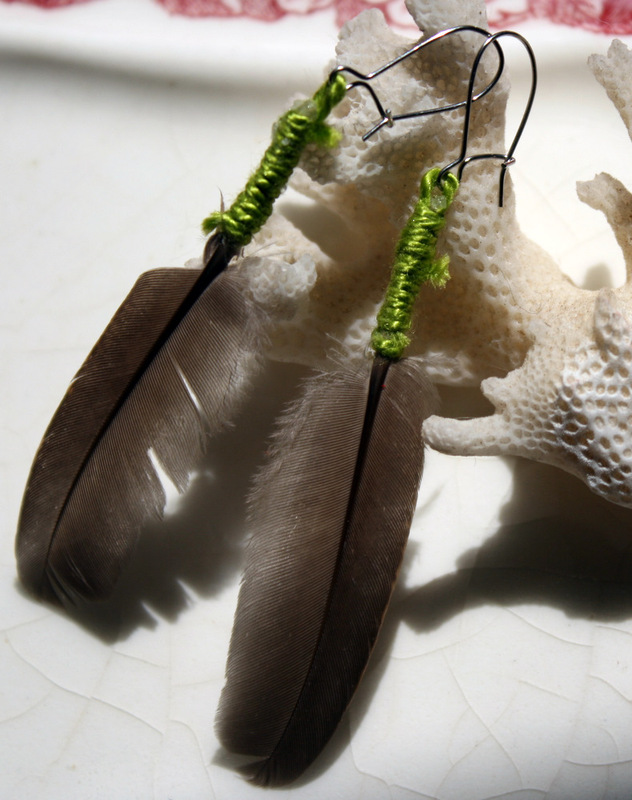 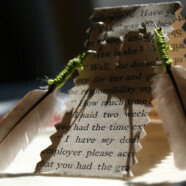 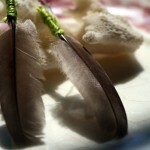 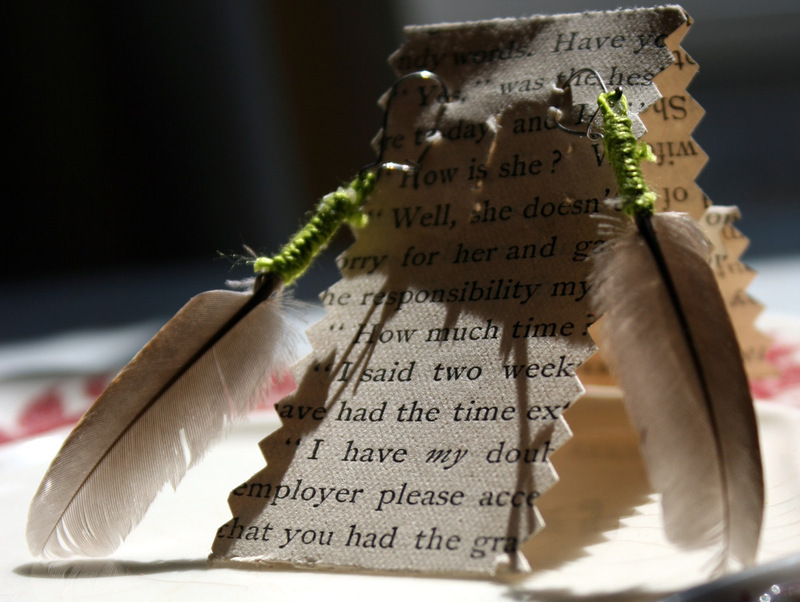 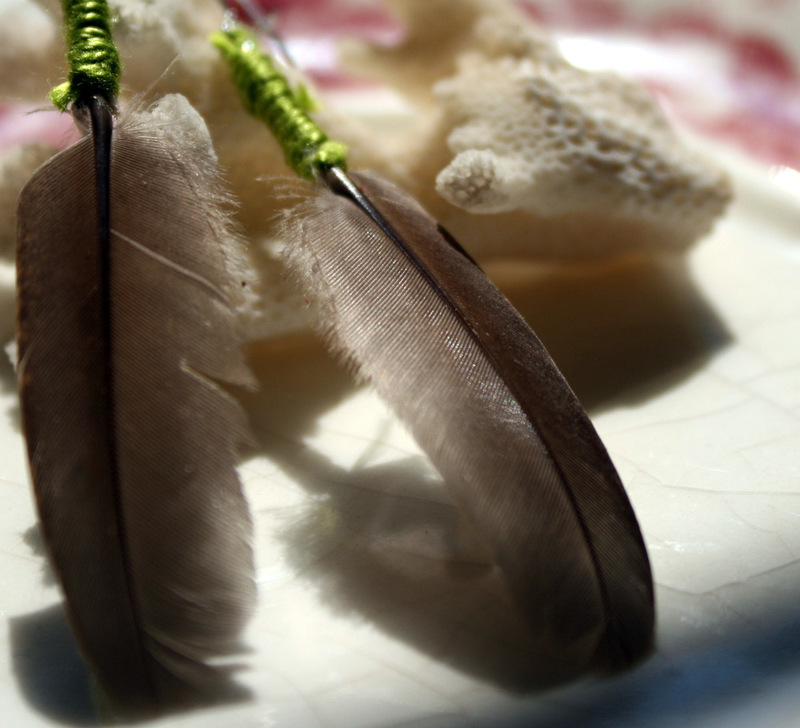 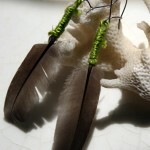 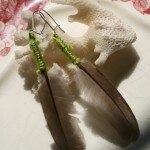 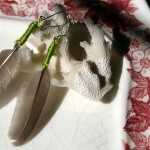 These earrings are pretty feathers from a pheasant, bound with chartreuse green colored thread.